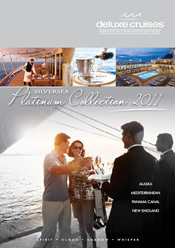 Deluxe Cruises has just released their Silversea Cruises Platinum Collection 2011 voyages. These special voyages have been specially selected by the Team at Deluxe Cruises as offering attractive itineraries, together with special Deluxe Cruises pricing options. Please click here to see the Platinum Collection Flyer online or call 01202 520321 to order your personal copy.